‘THE JUST WAR’ part one! 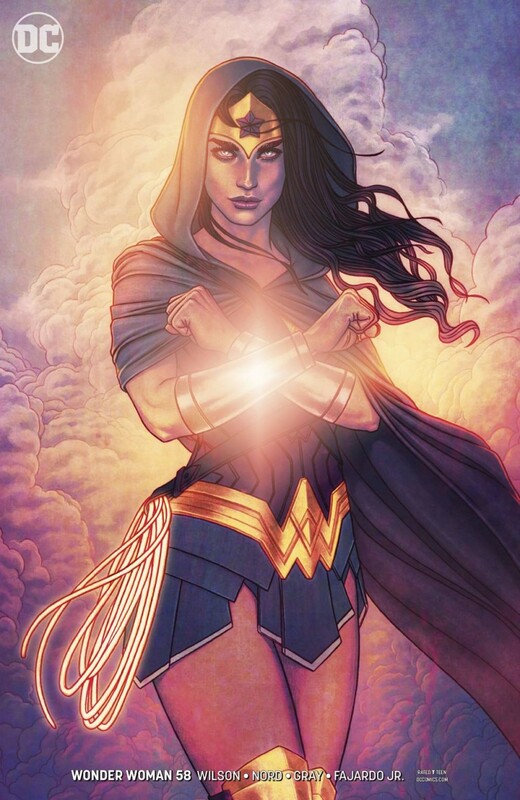 A new era of Wonder Woman begins as best-selling writer G. Willow Wilson (Ms. Marvel) makes her return to DC with art star Cary Nord (Conan, THE UNEXPECTED) joining the series! Far below Themyscira, Ares, the God of War, has been imprisoned for generations, repenting his past sins. But his new cellmate Grail may have an unexpected effect on him…and the plan they’ve come up with will change Themyscira-and the world- forever! When Wonder Woman rushes to Eastern Europe to rescue Steve Trevor from a mission gone wrong, she’ll find herself face-to-face with a very new, very different God of War!